Guilty as charged. 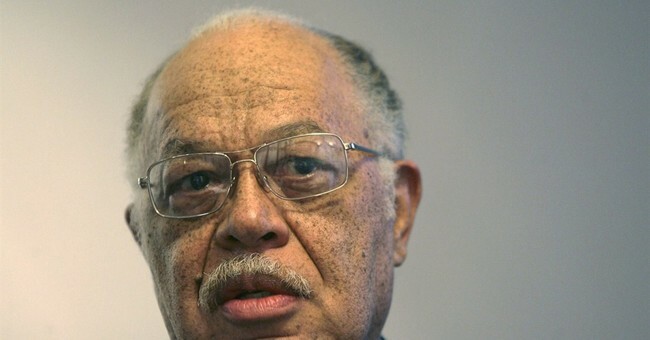 That was a Philadelphia jury’s verdict against abortionist Kermit Gosnell for multiple murders of babies in his Pennsylvania abortion facility. The jury also convicted Gosnell of hundreds of lesser criminal offenses. To avoid the death penalty, Gosnell agreed to serve the rest of his life in prison. This sordid chapter in the battle for the life on the unborn child is now over. Virtually everyone who observed, participated in, or reported on the Gosnell trial was struck by Gosnell’s unspeakable acts—acts recounted by witnesses under oath during the trial. Those horrors were the most gruesome, but not the only “horrors” from this case. Obscenely, in what many saw as a “conspiracy of silence,” the so-called “mainstream” media failed to report on the Gosnell trial. Even President Obama would not bring himself to comment on Gosnell’s abortions as damning factual testimony of blood, urine, animals, filth, and death at Gosnell’s hands mounted. Several of Gosnell’s co-workers were reportedly in tears as they testified about the gross conduct and conditions they had witnessed. Some members of the media even reported that the testimony they heard during the trial caused them to change their minds: they could no longer support the elective abortion of an unborn child or the murder of an infant who had survived an abortion. Observers were stunned to learn that, at the instructions of former Gov. Tom Ridge and in support of the multi-million dollar abortion cabal, neither Gosnell’s abortion facility nor any other Pennsylvania abortion clinic had been inspected by the Pennsylvania Department of Health for the 17 years between 1993 and 2010. But Gosnell isn’t the only one who deserves a verdict. The nation’s abortion industry, led by Planned Parenthood’s nearly 340,000 abortions annually and its millions of dollars in profit, including more than $542 million in taxpayer dollars from the Obama administration, is also guilty—as are its pro-abortion political allies, who receive millions of dollars in political contributions from Planned Parenthood and its abortion allies. But while the Gosnell jury was still out, Planned Parenthood and its pro-abortion allies—like Connecticut Sen. Richard Blumenthal—blocked congressional hearings on such horrendous abortion practices. Well, if what happened at Gosnell’s house of horrors was no different than what is happening at other abortion facilities in our nation, let’s hope it is only a matter of time before other abortionists are also found guilty. Planned Parenthood itself is guilty of fighting against common-sense health regulations that would cut into the abortionists’ bottom line or reduce the political contributions they make. I know because Alliance Defending Freedom attorneys have argued against Planned Parenthood in other states. In many states, Planned Parenthood has been so successful that abortion facilities are totally exempted from health and sanitary regulations. For instance, in Delaware a Planned Parenthood abortion facility was termed a “meat market,” and abortionists and their pro-abortion allies seem to have “sweetheart” deals with regulators akin to Pennsylvania’s “no investigations” policy. These abortionists like to justify their atrocities by suggesting they are far superior to “back-alley butchers” of the past with coat hangers – something that, by the way, never really happened in our country. And, all the while, these abortionists cover up the atrocities in their own abortion chambers and vigorously resist citizens’ efforts to make these atrocities public. In state after state, abortionists fight to enable unqualified non-medical personnel to be eligible to perform abortions so they can make even more money. Across the country, evidence is mounting of botched abortions and medical malpractice by Planned Parenthood and other abortionists. But their pro-abortion friends in many state health departments and medical boards often protect them from sanctions or even disclosure and accountability. Even improper disposal of medical waste and patient records goes unaddressed by state health authorities. Planned Parenthood and other abortionists must be held accountable for their own horrors—for the botched abortions, the instances of women forced against their will to go through with abortions, the lack of informed consent, the failure to present viable options to vulnerable women seeking help often without any male support, and the millions of dollars of waste, abuse, and potential fraud imposed on America’s taxpayers. Now is the time to shine the same light of truth on Planned Parenthood and other abortionists that was shined on Gosnell. Now is the time to demand that President Obama stop defending Planned Parenthood, including falsely claiming that Planned Parenthood provides services like mammograms. Now is the time to stop the flood of political contributions by Planned Parenthood to its political allies. Now is the time to require that Planned Parenthood and other abortionists play by the same rules as all others in the healthcare community. Most importantly, now is the time to stand with our sisters and daughters and granddaughters to protect them from the horrors of abortion and the abortion cabal. Otherwise, we will all be guilty too.